We provide Cissus Quadrangularis Stem in varios packing options. It is known for many medical values. - Cissus is beneficial in promoting weight loss, fat burning, heart health, blood sugar control and many other positive health benefits with proven clinical trials. - Free radical scavenging activity. - Cissus have analgesic anti-inflammatory and venotonic effects. Medicinal uses: Heals bone fracture, osteoporosis, weight loss management, leprosy, ear infection etc. Hadjod; also known as Cicssus quadrangularis is named so because of its characteristic property to help in proper healing of bones and union of bones in fracture. We are offering cissus dry with competitive price. Ready stocks available. With the extensive knowledge in this domain, we are engaged in offering Cissus Quadrangularis to our valuable customers which is procured from the reliable vendors of the market and grown in complete natural conditions under the guidance of talented professionals. We offer high purity Botanical Extracts. 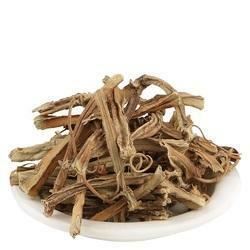 Cissus quadrangularis is commonly known as cissus quadrangularis which is highly demanded in the market. Since ages, owing to medicinal value it is widely used in analgesic applications. Further, it is used to cure ear disease, fracture, anorexia, eye disease, irregular menstruation, burns and muscle pain.